WatchKnowLearn is a video site that offers educational videos that users can organize by ages 3-18, while also searching for videos by content area. Visitors have the option to create an account to store, organize, and rate the best K-12 educational videos on the Internet. 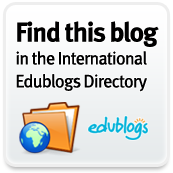 In order to help the site grow, it is up to educators to help suggest videos to include in the directory. There are currently approximately 50,000 educational videos available that have been divided into over 5,000 categories. Videos are also aligned to Common Core standards as well. Users can also set up classrooms which is a personalized subdomain on WatchKnowLearn. Through these classrooms users can collect the videos, create personalized categories, drag and drop videos into the classrooms, create student account that allows users to assign and track the students' viewing of the videos, and create a custom layout. 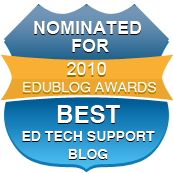 NeoK12 provides users access to thousands of educational videos that are separated by content area. There is also a "Today's Interesting Video" that can provide teachers with an educational video that could be utilized as a writing prompt. The sites main focus is on science videos, but there are tons of videos for other content areas as well. Also available on NeoK12 are Educational Games and Puzzles, Quizzes by topic, Interactive Diagrams, and 1000's of pictures by topic as well. Users can create a dashboard and a playlist as well. This is just not a video site, it is also a great site for teachers looking for whiteboard resources as well. For years videos have been part of the education process. With video creation becoming an even easier task for students and teachers, there are also several services that are becoming to use those videos in different ways. Through ClipChoose, users can select multiple videos from YouTube which can then be voted on to determine a winner. Teachers or students wanting to use the service for a project can add a question and then choose up to 8 videos. Visitors then vote on the video that best answers the question. I could see government teachers using this service to portray sides to differing political views. Video projects uploaded to YouTube could be voted on by students and the winners could receive a prize in the classroom. Marketing and business teachers could use the service to teach advertising techniques by companies and which commercial was more influential. There are several videos for teaching a concept and students could choose which concept helped them learn the content better. ClipChoose could be another valuable option in the classroom. I recently wrote a post discussing how the Bump App for Android and Apple now had the ability to Bump pictures to your computer. In the most recent update to the service, users can now bump a lot more. By using the app and "bumping" your phone to the spacebar, users can easily share videos, files, audio, photos, and everything from their phone. With phones increasingly becoming a valuable tool in the classroom, it is going to be worthwhile to utilize what apps and tools are available to easily make files available. As students are using their phones for video and photo projects, Bump could be a valuable tool for teachers to use to gain access to student work. It might also be a good way for teachers to collect contact information of parents, students, or athletes if they are a coach. I have previously compared two State of the Union Addresses by President Obama and thought it would be interesting to take word clouds from the four previous ones as comparison for tonight's State of the Union Address. This might be interesting to share with your social studies teachers as well. You can find transcripts of the previous addresses for all the presidents through the American Presidency Project and it might be good for your social studies teachers to create their own Wordle or Tagxedo Word Cloud and compare previous State of the Union Addresses from various presidents. Remember, the words that are the largest are the words that appear the most in the speeches. In the digital age, flashcards in the literal sense have taken on a new meaning. Computers, tablets, and other mobile devices haven't changed how way can use flashcards to study, but they have definitely provided a new way to study. Below are some resources for creating, finding, sharing, and studying using flashcards. Share with the teachers in your building so that they can find the one that meets the needs of their students. 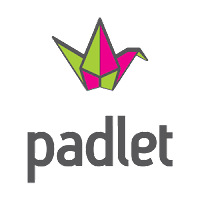 Quizlet - One of my favorite, and thinking back, the very first Web 2.0 tool I used as a teacher provides students and teachers the ability to create accounts, search through a database, and then participate in games to help study. You can also find an iPhone App and Google Chrome App as well. One of the great things about Quizlet; it was created by a high school student. Braineos allows users to create flashcards, play study games to learn the the information, while at the same time allowing users to challenge their best friends. Competition is sometimes the best way to increase learning. There is also a database that you can search for flash cards as well. There is also the option of having a multiple choice quiz based on the flashcards as well. Cramberry is another free option that allows users to create or search for flashcards in the database, and then when you are ready to study, Cramberry will analyze a users progress and help users hone in on the areas that they are weakest. You can also get the service as a iPhone/iPod App and an iPad App. Study Stack is a simple, no muss, no fuss type of flash card site. You can browse previously created flashcards or you can create your own and study on the web. StudyBlue is a mobile and web based flashcard creation option that also allows the creation of study guides and quizzes. Users can create an account via Facebook or through an email address. Teachers can also create an account that allows users to create cards for students and then share them for them to access. StudyBlue also has mobile apps as well. Memerise is more of a course based system, but provides a lot of features for studying content. Users can use images and audio (good for language learning), take tests that help users exercise their brain, and then get reminders to help users remember to study. There are currently 145 languages and over 203 categories that users can browse through. This might be the most advanced of all I mention, but worth looking into. No account is needed to use, but creating an account will make tracking and storing easier. Flashcard Stash is built on top of a dictionary, so users can look up words and save them. Users can also get sentence usage, synonyms, and audio as well. Using the service is free and user can login using Facebook or standard email login. If you are a teacher, you can create an account and share lists of flashcards easily with students. Superflashcard provides users the ability to look for and create flashcards in various languages and for various categories. Users can also view in a slideshow or study using matching, memorizing, or through a quiz. Users can connect with Facebook, Google, or an email account. Users can also create a review schedule to help them remember to study. Flashcard Database is a free service to create, study, and share flashcards online. Users have the ability to study in two different methods and make study easier and more efficient. Users can search for recently created lists, recently studied, or look through popular subjects. Signing in is not required to study cards, but it is for creating them. Flashcard Exchange is also a free service that allows users to search from over 50 million flashcards or create their own. By creating an account users can save their flashcards and access them later. This service is more about utilizing what is already available and not reinventing the wheel; although you can if you want too. Headmagnet is a free services that helps users predict and understand what users are forgetting the most and helps them focus on what you need to remember. The more it is used, the better the service and its users can learn how to study. Users can create lists and track what they have learned as well as share with others through the Headmagnet Community. The service also provides stats that are helpful in determining strengths and weaknesses. What Flashcard service do you use that I have not shared? Wallwisher has been making some changes recently and I have written about them here and here. Now, the most recent change is its name. 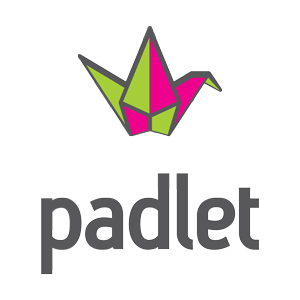 Padlet, it is the portmanteau of paper + wood + tablet...the rock kind, as a tribute to our ancestral beginnings of writing. If you have been an avid user of Wallwisher, then you will have nothing to worry about with the name change. It will not affect previous walls that you have created and there will be a period where you will be redirected to the new URL in the future. To read more about this change, check out the Wallwisher Blog. To see suggestions for using Wallwisher in the classroom, see my previous post about this tool. Voice recognition software and typing text to voice over is becoming a very popular service. There are also several apps and web based services that provide this for free. Slide Talk is one of those options. To use the service, you first must create an account. Users will then upload their slides and arrange them to build a story. These slides will need to be images. For each slide users need to type some text to explain what is in the slide. From there, in 20+ different languages and 70+ different voices, the service will convert the text into a voice over speech. The images and audio are turned into a video and automatically published to YouTube, or can downloaded for personal use. See video below that showcases several of the different voice options. Hard to believe that a month has already gone by. Before we know it, spring break and summer will be here. Lots on the agenda before those breaks get here. In the mean time, lets look back at what was most popular last month. Turn Your Phone into a Presentation Remote - Using Google Chrome and some other services, users can make a phone a presentation remote and also a remote for YouTube. Wallwisher Got a Makeover - I am a big fan of Wallwisher. It was the very first web 2.0 tool that I wrote about on this blog. Over the past few months they have made some positive changes to their software and I think it is even better than before. 10 QR Code Ideas - These were ideas that I saw teachers using, read about, or just thought that would be a pertinent way to share information with students, parents, and the community. QR Codes could be a game changer in education in the future. Mind Mapping Tools for Teachers and Students - A good list of some mind mapping software that are available for teachers and students for free or for minimal cost. 10 Apps for Students to Take Notes - iPads, netbooks, and other tablet devices are invading the classroom and there are several web-based and mobile apps for students to use to take and organize notes. Here is a good list of some to share with your students. Turn Google into an App Search - I discovered recently that you can use a Google search for finding an app that meets your needs in that search. I explain that discovery in this post. And still popular from December is 10 Cell Phone Apps for Teachers.